Which Area Is The Best To Buy Into In The Current Market? Which Area Is The Best To Buy Into In The Current Market? When looking at investment properties a question that a lot of people ask me is what is the best area to buy property in? When I go into a newsagency and I look at the property magazines, a lot of the time the front cover will say “Top 10 suburbs of high positive cash flow suburbs” or “Suburbs set to boom” or “Uncovering the best performing suburbs.” It’s all talking about the best areas to invest in and it obviously sells magazines otherwise they wouldn’t continue to put this stuff met on the front cover. Of course you’re trying to make money from a property (that’s a given) but how are you trying to make money? What sort of investment strategy are you going after and what are your financial goals? I always advise people set financial goals first before you go out looking at property because that way you can look at property through the eyes of your financial goals. 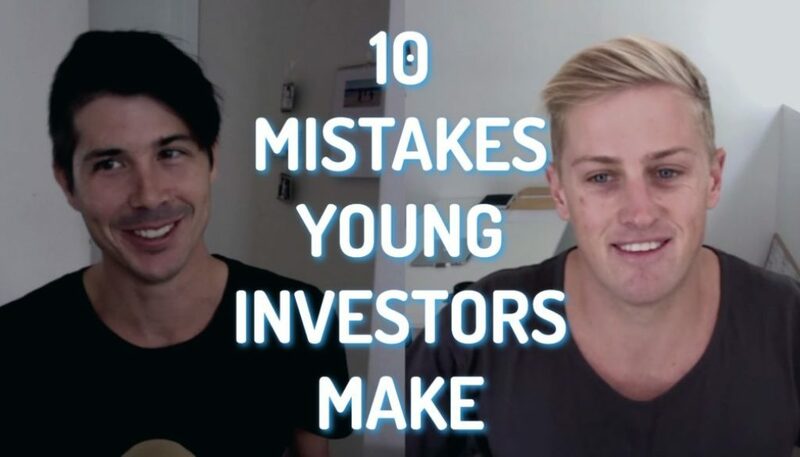 If you want to achieve a certain level of passive income, do you want to invest in a property that’s going to be a highly negatively geared and unlikely to ever generate passive income? Well maybe not. Do you want the tax benefits that come from a negatively geared property or you want the high growth? You might not want to invest in a positively geared property even if it’s going to generate a great cash on cash return. 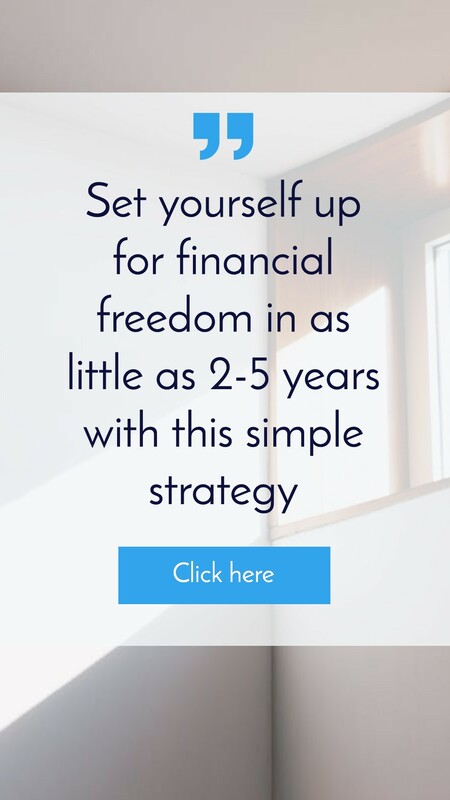 It might not be good enough for you because you can actually get a better return by saving money on your tax through negative gearing and getting that capital growth. Choosing a good area really is dependent on who you are, what your financial circumstances are, what your financial goals are and how you want to go about investing in property. 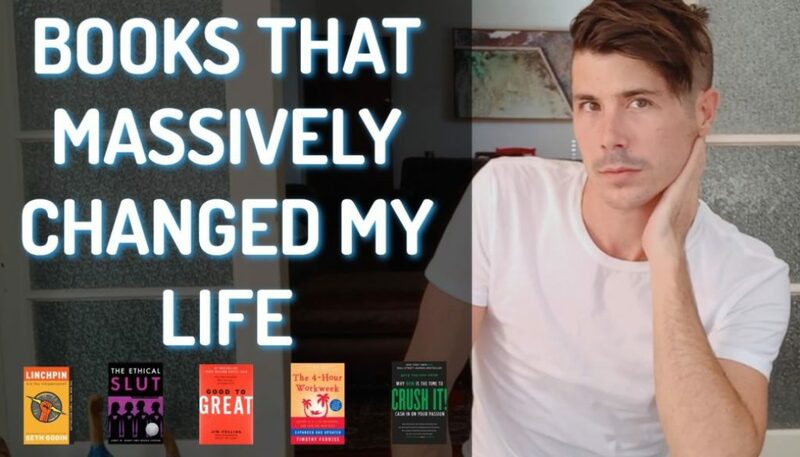 I have previously talked about all the different ways you can make money through property so you can begin to assess which ones going to be the best for you. I can’t actually tell you what are the best areas to invest in because truthfully I don’t know and truthfully it depends. A great area for me is different to a great area for you. Even if I was to say “this is a great area to invest in” I’ve found that people won’t necessarily go ahead and invest in that because they are not confident enough in themselves that what I tell them it’s going to be true. What you’re going to need to do is (even if someone can tell you what’s going to be the best place to invest in property) learn how to do the research yourself because you’re going to want to ensure that the property you’re buying is at a great price and the area you’re investing is actually going to grow. 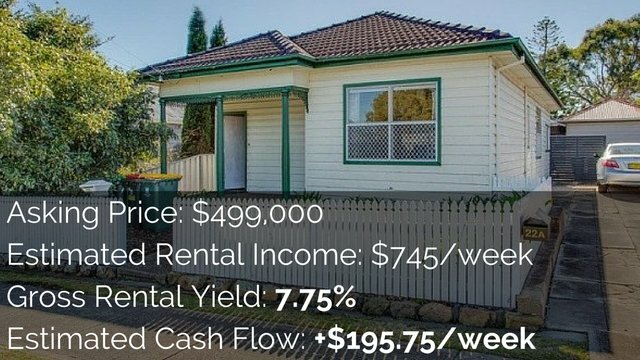 I’ve seen many people invest in areas that have been ticked as the next hot spot or they’re seeing graphs that show this year is going up by 10% every single year but little did they know that they are actually paying about $50,000 more than the property is actually worth. So even if the area goes up, they’ve still got $50,000 to catch up with before they can start making any profit on that property. 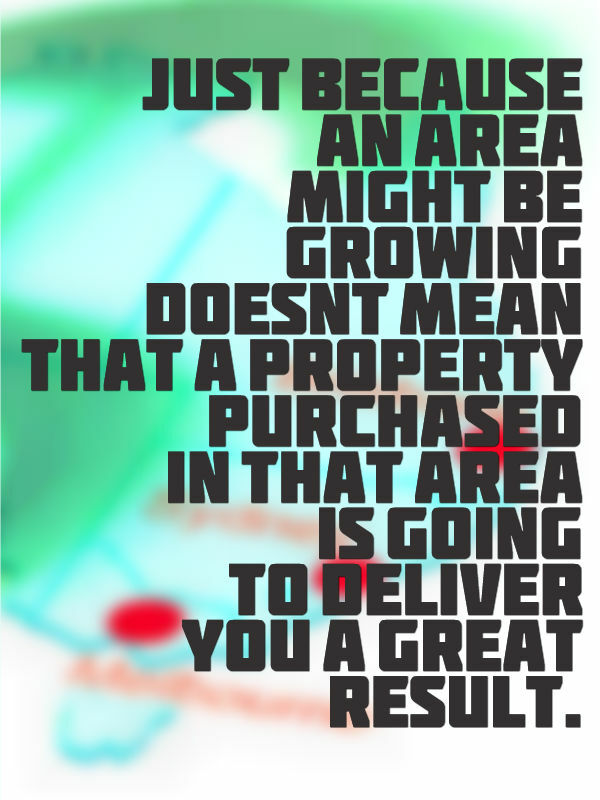 Just because an area might be growing doesn’t mean that a property purchased in that area is going to deliver you a great result. Do your cash flow analysis on the property before you go ahead and purchase. I’m very sorry that I couldn’t answer your question and say here’s the 5 hot spots. It’s not really what I do. I do general education on how to find properties, how to research properties and all that sort of stuff. 1. First set some financial goals know exactly what you want. 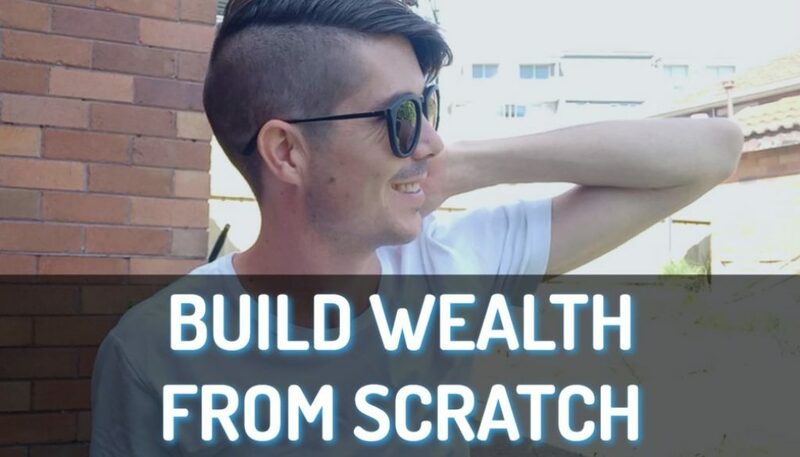 Have a dollar figure – for me it’s $60,000 a year in passive income – so have your goal. 2. Second would be to work out what investment strategy you would like the best. For me obviously that’s positive geared properties or positive cash flow properties. For you it might be negatively geared properties, it could be developments, subdivisions, could be a number of different things. 4. The last thing I look into the particular property. 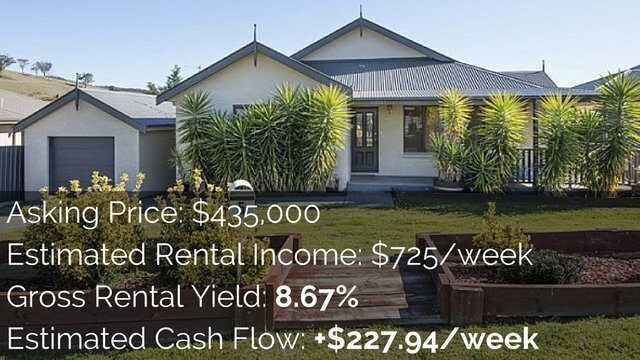 Do your cash flow analysis, make sure you aren’t paying too much for it because if you pay too much even if the area goes up you’re playing catch up and you’re not going to see that profit because all the market’s doing is catching up to what you already paid for your property. That would be the advice I would leave you with today. I wish you all the best.